To sum it up in a few sentences, Djemila Carron establishes first a presumption according to which the unconsented-to armed intervention of a state in the territory of another constitutes an international armed conflict but qualifies this presumption as rebuttable. She then argues that the presumption can be rebutted in three distinct circumstances, one of them being when resort to armed force by the intervening state is exclusively carried against a non-state organized armed group in the territory of another State. In such scenario, and in the absence of direct confrontation between the armed forces of the intervening State and those of the territorial State, the situation would only qualify as a non-international armed conflict according to Djemila Carron even when the territorial State has not consented to the third State’s military intervention. In this regard, Djemila Carron’s position echoes those recently put forward by Terry Gill, Kenneth Watkin and Sean Watts. In her book, Djemila Carron favors a so-called “identity position” according to which hostilities between an intervening State and a non-state organized armed group would constitute only a non-international armed conflict regardless of the absence of consent of the territorial State when resort to armed force is exclusively directed at the non-state party. In her view, this “identity position” better reflects a classification based on the nature of the parties to the armed conflict. In addition, she argues that the absence of consent by the territorial State would not suffice to establish the existence of an international armed conflict between the intervening State and the territorial State besides the non-international armed conflict opposing the intervening State and the non-state organized armed group. She contends in particular that the issue of consent is much more a question of jus ad bellum that should not be factored in in the international armed conflict equation. Finally, Djemila Carron asserts that her position denying the existence of an international armed conflict in such situation would be based on the absence any belligerent intent against the territorial State. The position expressed in the 2016 Commentary has been criticized for allegedly putting too much emphasis on the notion of consent and thus ignoring the importance of the nature of the parties in determining the nature the armed conflict at hand. Notwithstanding this criticism, the appropriateness and relevance of the ICRC’s interpretation cannot be overstated. This view – which is supported by a majority of legal scholars and backed up by international decisions – reflects the fact that under IHL, international armed conflict is above all a state to state belligerent relationship. In this regard, when a State conducts a military operation in the territory of another State without its consent, these operations are by definition against that State even if the intervening State claims that they are solely directed against a non-state organized armed group. The consequences of attacks against a non-state organized armed group cannot be isolated. They necessarily impact the territory of the State and – potentially – its population. These are key constitutive components of a State, thereby justifying the classification of such a situation as an international armed conflict. In this regard this position is broader than the one taken by Djemila Carron which, in my view, artificially dissociates the territorial dimension of a state from its “identity” perspective. The territorial component is an integral and constitutive component of a State under public international law and is part of its “identity” along with the population and government. In this regard, it is submitted that any unconsented-to military operations against non-state organized armed group is also a military operation against the territorial State, triggering – in parallel to the non-international armed conflict – an international armed conflict. A situation which is now labelled by the ICRC as “an armed conflict with a double classification”. Djemila Carron also invokes the absence of belligerent intent on behalf the intervening State in order to justify her position denying the existence of an international armed conflict. The argument is unconvincing as it brings back a dangerous subjective element in the determination of the existence of an international armed conflict, at odds with the well-recognized pre-eminence of the factual existence of armed conflict. Therefore, the determination of the existence of an international armed conflict must be based solely on the prevailing facts demonstrating the de facto existence of armed opposition between the belligerents and can in no way be conditioned by the subjective perspective/intent of the belligerents. “the fact that the same concept of general international law may be taken into account in the analysis of jus ad bellum and jus in bello does not mean that this analysis conflates the two sets of rules”. In this regard, one can only find it inconsistent that the importance of consent is not taken into account by Djemila Carron to determine the existence of a IAC as a result of a unconsented-to transnational NIAC, while she still considers consent as being an integral part of the concept of occupation and a precondition in order to determine the existence thereof. Since occupation is undoubtedly a form of international armed conflict for the purposes of IHL, why would the assessment of consent – or absence thereof – be crucial for occupation while completely irrelevant for the determination of the existence of an international armed conflict short of occupation as it is the same territorial State integrity which is adversely affected by the intervening State’s military operations? I don’t see any legal basis under IHL justifying such a distinction and would therefore continue to argue that consent is a crucial element of the international armed conflict equation as reflected for instance in the ICJ DRC v. Uganda 2005 decision. By considering such a situation as an armed conflict with a double classification (i.e. a situation in which an international and a non-international armed conflicts are simultaneously occurring), the ICRC’s position is also particularly respectful of a classification based on the nature of the parties to the armed conflict and the reality of the belligerent relationships in the scenario under scrutiny. Indeed, with this interpretation, justice is done to both the belligerent relationship resulting from the non-international armed conflict (intervening State v. non-State armed group) and the belligerent relationship stemming from the international armed conflict (intervening State v. territorial State). This is due to the application of a fragmented approach to the classification process consisting in determining the applicable IHL by examining each bilateral relationship between belligerents separately, in light of the facts on the ground, when a State conducts military operations abroad against a non-state organized armed group without the consent of the territorial state. In any event, the remarks made in this contribution must not in any way detract from the interest of the book, which I warmly recommend to readers interested in IHL matters. Congratulations to Djemila. 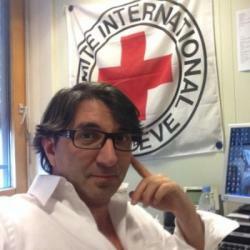 The views and opinions expressed in this post are those of the author’s own and do not necessarily reflect those of the ICRC. Thanks for your very interesting post regarding foreign military interventions against organized armed groups. Contrary to Mrs Carron, you are thus in support of a double classification of the situation. Concretely, this means that each action in such situation must be classified on a case-by-case basis, depending on the bilateral belligerent relationship concerned. Consequently, we would like to hear your point of view regarding the question of distinction between the IAC and the NIAC. According to you, how can we make a distinction in practice between both classifications? To take just one example, what would be the law applicable to an attack against facilities which contribute only to the military action of the armed group and which are located in the territory controlled by the armed group? Would you examine that attack under an IAC perspective or under a NIAC perspective, or even under both at the same time? If you consider it to be a military action within an IAC context, then this would be an illegal action against a civilian object since such facilities could not be identified as a military objective because there is no effective contribution to the state military action nor does this attack offer a definite military advantage in accordance with art. 52 AP I. In contrast to this first hypothesis, if you consider it to be a military action within a NIAC context, then this would potentially be a legal action against a military objective, depending on the compliance with all IHL rules. Moreover, it is obviously true that LOAC is quite similar in IACs and NIACs as far as the conduct of hostilities is concerned. However, both regimes are not yet totally standardized. Indeed, they are still different on certain aspects, such as the reprisals or the protection of the natural environment. In addition to that, the International Criminal Court’s jurisdiction over war crimes in NIACs differs from its jurisdiction over war crimes in IACs. That is why it is important to know which law (IAC, NIAC or both) is applicable to an attack directed against the armed group but affecting at the same time the population, the properties and the territory of the territorial state. How would you examine that issue?